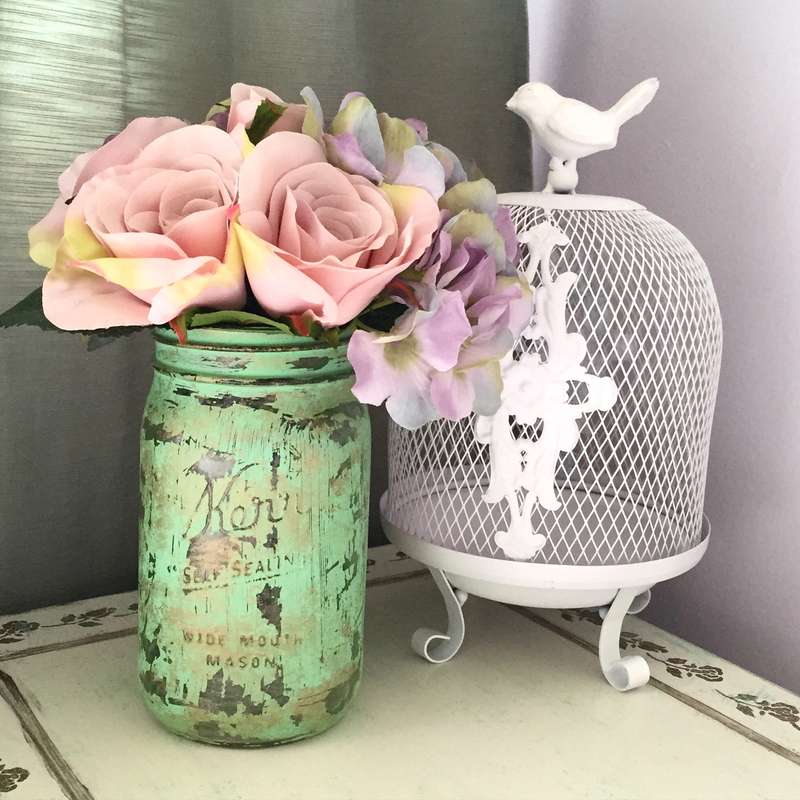 I’ve always liked using clear mason jars as flower vases but lately I felt that they needed a bit of personality. 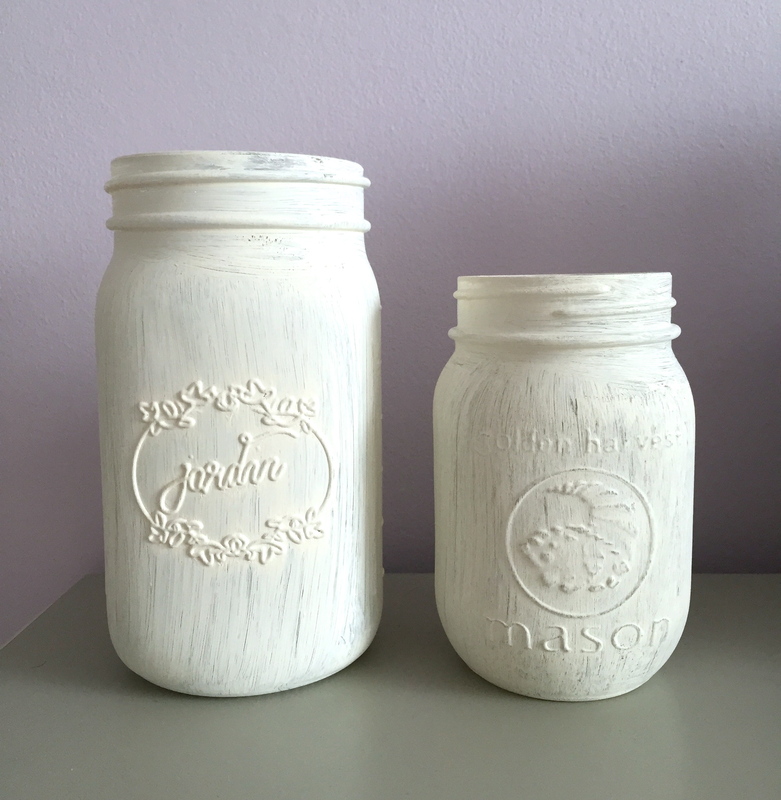 Inspired by some DIY ideas on Pinterest, I thought I’d give it a try to paint my mason jars and then scratch them up to give them a rustic country look. It’s very easy and takes barely any time! STEP 1: Choose a paint colour of your choice (opt for a matte paint versus a glossy paint). 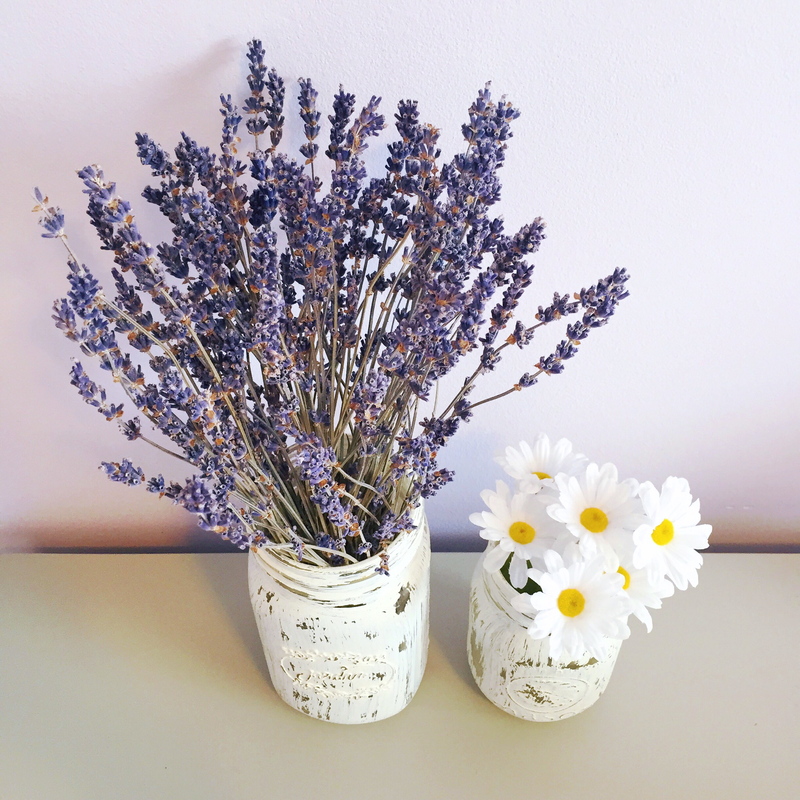 Grab a paintbrush and a clean mason jar. 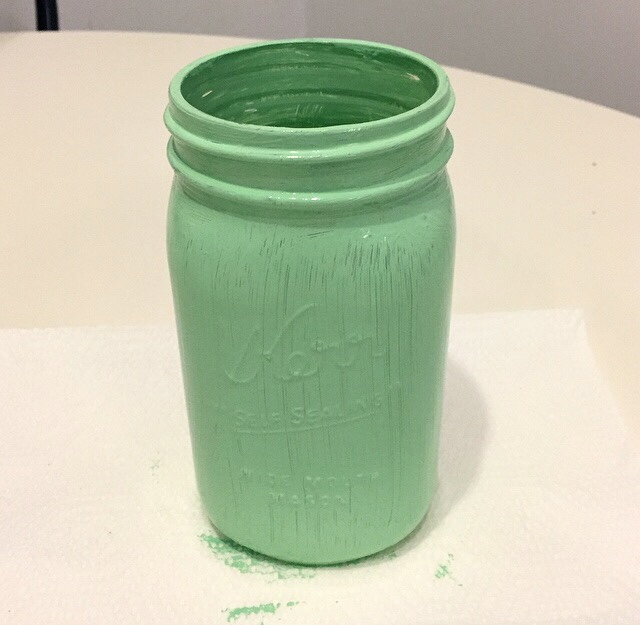 STEP 2: Paint your mason jar! It doesn’t have to be perfectly covered. In fact leaving some paintbrush streaks makes it look more rustic. 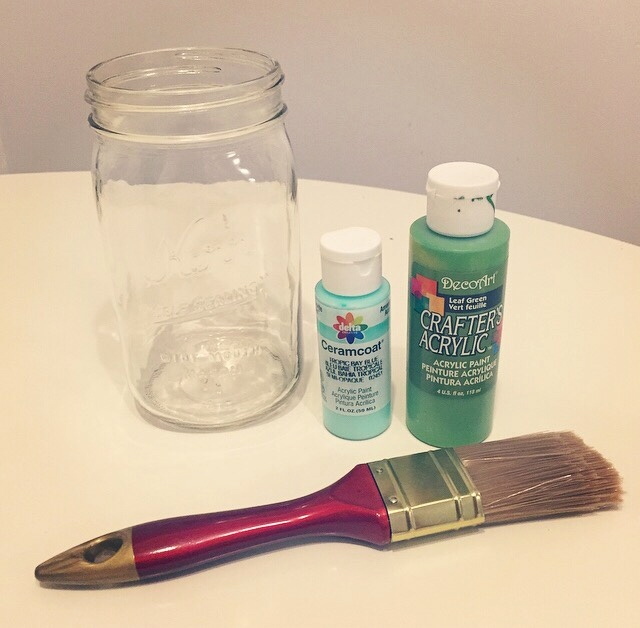 STEP 3: Once the paint is completely dry, take a slightly damp cloth and gently rub the paint off the mason jar to give a worn out look, concentrating on areas that would naturally get worn like the curves and the top of the mason jar, and especially on the embossed labelling. 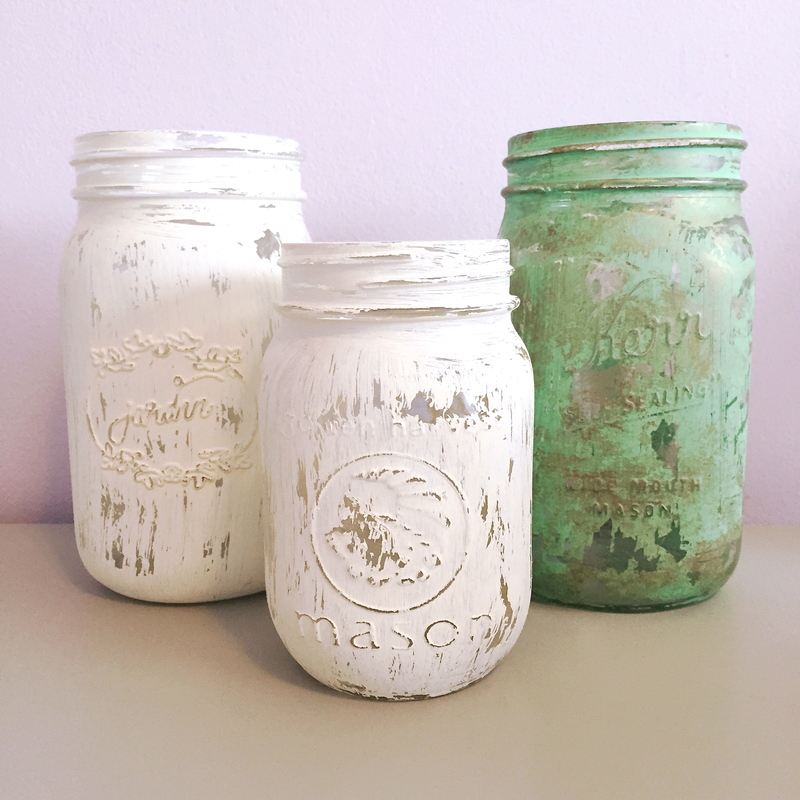 For a more distressed effect, gently pat gold or brown paint on the mason jar using a dry sponge. I did this only on the green jar. 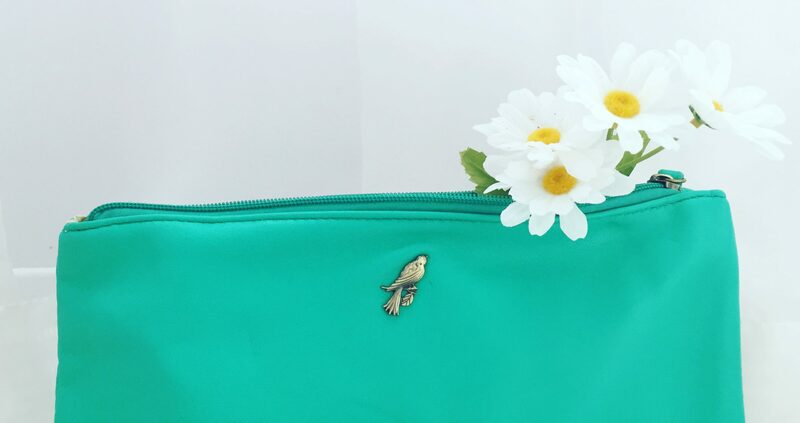 STEP 4: Add pretty flowers and enjoy! This is a really charming idea, and it’s easy enough so that even I can do it. Thanks!